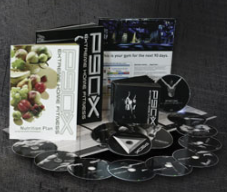 P90X or Insanity Workout - Which Should You Do? 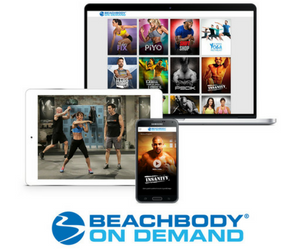 When looking for an intense at-home fitness program, the big question is always, “Should I do P90X or Insanity?” Both DVD fitness programs will get you in great shape! Let’s take a closer look at each one. For me, P90X is the best fitness program. I love resistance training and this one includes lot of resistance workout routines. You need equipment like dumbbells, resistance bands, and a pullup bar. The variety in the workouts keeps you doing something different from day to day. This challenges your body, giving you more confidence every time you complete a routine. The P90X Yoga X and Plyo X workouts were the most challenging for me. I never thought I’d be doing twisting half-moon and jump knee tucks! The variation of moves and the pace in which you do them keeps the routines moving along. You also get the expert guidance and motivation from Tony Horton. There are so many forms of physical activity in this 90-day program that you won’t get bored. Insanity will rock your cardio like never before. I was a little scared of the Insanity workout before I started. It definitely stays true to its name – it’s INSANE! If you want to challenge yourself, then Insanity is for you! There is no equipment required. Shaun T’s intense interval training will drive you to your cardiac limits. There was a lot of huffing and puffing and jogging in place for me to get through some of these workouts. The first month isn’t so bad especially if you’re fresh off a round of P90X. But once you get into month 2, which includes Max workouts, it makes month 1 look easy. Insanity workout was very rewarding for me because my cardio is insane. If you don’t have a strong workout ethic, it may drive you to quit early! If you are up for a good challenge, then go for it! 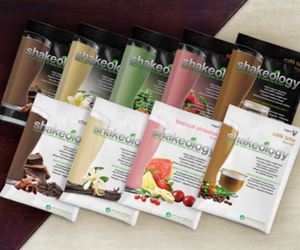 Shaun T is an amazing motivator, always pushing everyone to do more! Both P90X and Insanity will give you a lean, fit body! Which one will you do? Insanity Asylum workout is available now! Click here to buy Insanity The Asylum!